In contrast to a direct circuit (DC) wherein the current only flows in one direction, the Alternating Current (AC) circuit flows in an alternating direction, intermittently changing or reversing the direction of the current. An alternating current is characterized by varying values in time, which can be periodical or simultaneous in such a way as to reverse its direction periodically. Alternating current engenders varying voltage in an electric circuit. The most form of an AC circuit or voltage can be represented graphically using a simple sine function shown in Figure 1. An alternating current is sinusoidal in nature i.e the alternating current or voltage varies sinusoidally (sine waveform). A simple AC circuit usually has an alternating voltage source and electrical passive component (resistor, capacitor or inductor). 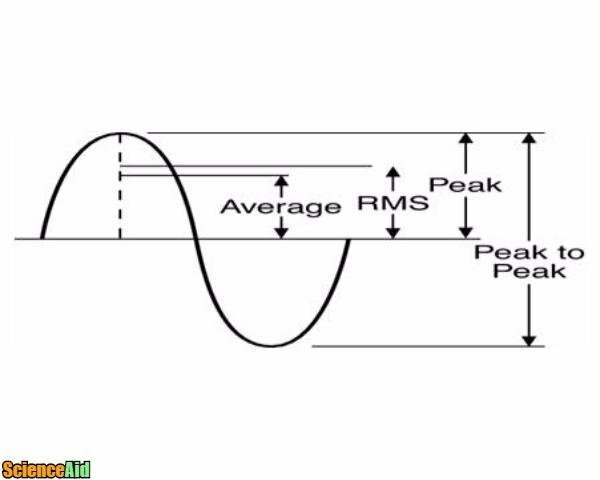 The peak value of an alternating current is defined as the maximum amplitude of the wave or the maximum numerical value of current or voltage. The root mean square(RMS) is the steady current or voltage which develops the same quantity of power as the periodic quantity in the same resistance/material. This can also be described as the observable operable value of an alternating current or voltage. Where Io and Vo are the peak current and voltage respectively. The instrument used for taking these values applies the principle of moving iron and hot wire meters. Today, digital circuits are fast replacing analog circuit. A digital circuit includes digital meters that take this same reading at the very low tolerable error. An electric circuit always serves a purpose. The functionality of the circuit is determined by the components/material arranged in a systematic way between the source/input and the output/result. In an alternating circuit, the periodic voltage or current source vary at a particular rate or frequency affecting the behavior of the material put together to provide the desired output. 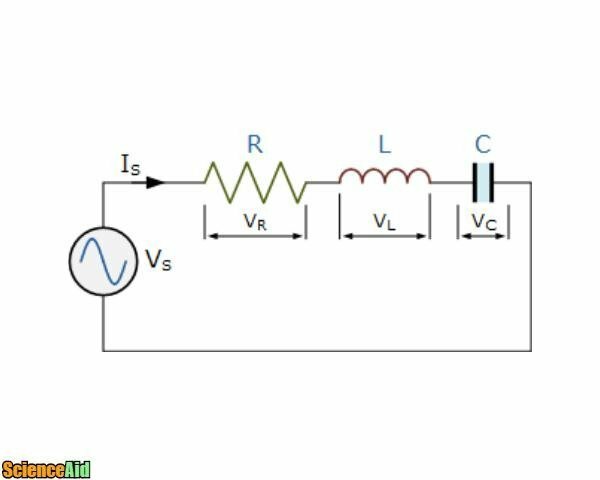 The electric component can be passive or active, but the basic AC circuit discussed in this article will use the passive component in a laconic manner. The basic electrical components are: Resistor, Capacitor, and Inductor. Resistance is known to be the opposition to the free flow of current. When connected to an AC source as shown in Figure 2, it also impedes the flow of AC current in some way. For an alternating circuit source connected to a resistor with resistance R, the voltage and current passing through the resistor are said to be in phase (both the voltage and current attain their maximum and minimum values at the same time). Figure 3 shows the relationship between the two signals. Where f= frequency in hertz(Hz). 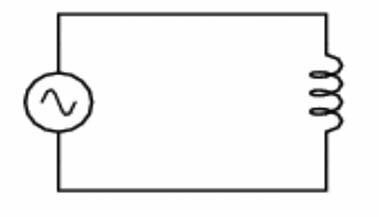 C=capacitance in farad. Unlike the resistance in an AC circuit, the voltage lags behind the current which enables the current to attain maximum value faster than the voltage as shown Figure 4. When inductance is connected as shown in Figure 6, the current lags behind by 90 degrees. This implies that voltage will attain both the maximum and minimum faster than current as shown in Figure 6. MLA (Modern Language Association) "Understanding_AC_Circuits." ScienceAid, scienceaid.net/Understanding_AC_Circuits Accessed 25 Apr 2019. Chicago / Turabian ScienceAid.net. "Understanding_AC_Circuits." Accessed Apr 25, 2019. https://scienceaid.net/Understanding_AC_Circuits.